Winter in Canada means it is time for some of the country's largest and most popular festivals and events. With options taking place in cities across the country, it's no surprise these celebrations get residents and visitors reveling in the cold. The chilly weather and regular snowfall from November to March are an inescapable reality and a major contributor to the country's national identity and character. Learn which festivals get Canadians out and about to brave winter's chill. 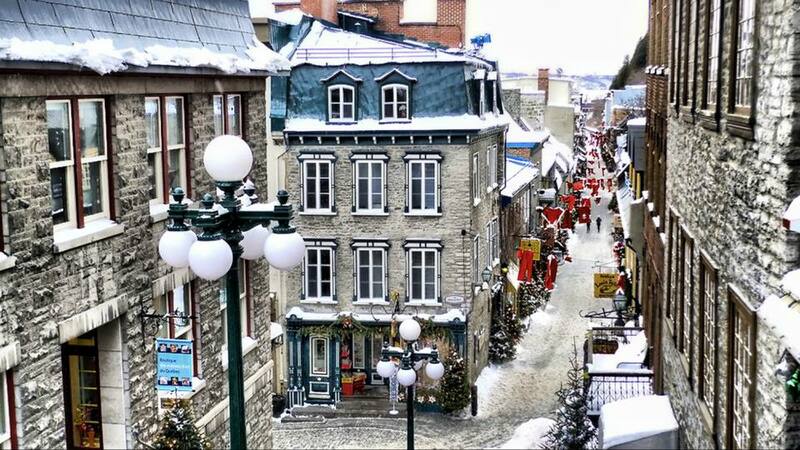 Every February, Quebec City, Quebec, comes alive with sub-zero merriment. The world's largest winter carnival, the Québec Winter Carnival, has been a highlight on the area's event calendar since 1894, giving Quebeckers and thousands of visitors a reason to celebrate during the cold, snowy winters. Winterlude is an annual winter festival in Canada's capital city of Ottawa, Ontario, that takes place during the first three weekends of February. Most Winterlude activities are free and include skating on the world's largest skating rink, the Rideau Canal. When attending this carnival, be sure to check out the snow sculpture contests, concerts, and more. From mid-November until the end of January, the Niagara Falls Winter Festival of Lights in Ontario is a spectacular light show that includes an illuminated 3-mile route of lighted displays, fireworks over the falls, concerts, and children's performances. For almost 50 years, Toronto, Ontario, has kicked off the holiday season by launching a month-long series of free events, including concerts, ice-skating, and the illumination of Nathan Phillips Square and giant Christmas tree with 100,000 festive lights. The Montreal High Lights Festival is on its way to becoming one of the most popular winter festivals in Canada. The Quebec festival, which lasts 10 days and kicks off around the end of February, shines a spotlight on arts and culture, the celebration of light, and the culinary scene. The food and drink aspect is a major draw for this festival. With more than 800,000 people attending the event annually, it is considered one of the largest culinary celebrations in Canada. When the dates for Winterlicious are announced, book reservations as soon as possible. Taking place in Toronto, Ontario, restaurant chefs strut their culinary stuff each January or February during Winterlicious. Nearly 200 restaurants, featuring wide-ranging styles and cuisines, open their doors and drop their prices on prix fixe menus for two weeks. Festival du Voyageur celebrates this Manitoba area's fur-trade era and French-Canadian heritage. Snow sculptures, dog-sledding, skating, and plenty of delicious food and drink highlight the week-long February festival. The Ice on Whyte international ice carving competition highlights the sculptural creations of artists who arrive in Edmonton, Alberta, from all over the world. The ice carving is complemented by a giant ice slide, interactive kids zone, live music, food, fashion, and much more. Kick off some pre-winter fun at Ralph Klein Park for Winterfest in Calgary, Alberta, during November. Bring your kids and friends along for an action-packed afternoon of indoor and outdoor activities. Get creative in the crafts room, join a guided park tour, or test out your birdwatching skills. There are also nature-themed games, fun facts about the park’s wildlife, and much more.